2012 Vintage Carnival Extravaganza! « Shine On! Kids - Supporting children with cancer and other serious illnesses in Japan and their families. 25 million yen raised and counting!! The Tyler Foundation held it’s 7th annual fundraiser, Vintage Carnival Extravaganza, on September 28th, 2012 at the Grand Hyatt Tokyo. Nearly 360 guests enjoyed not only non-stop fun and entertainment, but also raised more than 25 million yen to support the Shine On! Programs. We also made the exciting announcement about the organization’s new brand name, Shine On! Kids. Keep in touch and like our new Facebook Page. Also click on to see more photos from the evening. Overall, the event raised more than 25 million yen – all of which will go to support Shine On! Kids’ groundbreaking programs now in 14 hospitals throughout Japan: Counseling and Support Program, Facility Dog Program and Beads of Courage ®. Learn more about how Shine On! 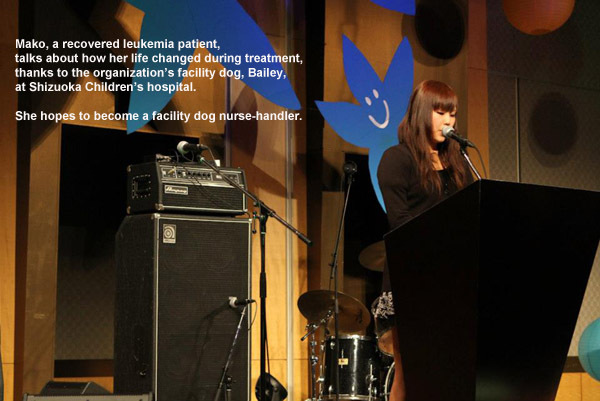 Kids is changing the way pediatric patients are being taken care of in Japan, www.sokids.org. The video was amazing!! It was a great representation of what you in concise form! Thank you for what you do! You are giving courage to so many!